Toyota Innova is the most popular car for travel purpose in Indian car rental market. 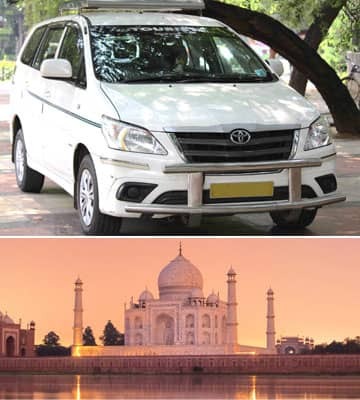 We offer Toyota Innova car for Agra tour package, Jaipur tour package, Rajasthan trip, Shimla Manali honeymoon, Nainital package and Haridwar Rishikesh trip. Toyota Innova the first choice of honeymoon couple who want to travel by car. It is 6 seater luxury tourist car which designed by Toyota motors. Toyota Innova car is well designed, power window and well decorated inside and outside. Toyota Innova has very comfortable seats and enough space for 6 people excluding driver.